"The double question we must always ask is, 'How does faith inform art?' and 'How can art animate faith?'" Imagination, appreciation of beauty, creativity: all of these qualities have been given to us by God. For the Christian artist, the drive to create something wonderful is also a means to glorify and better understand our Lord. Using excerpts from her own works as well as those of writers who have gone before her--Emily Dickinson, Annie Dillard, C.S. Lewis, and others--poet and writer Luci Shaw proves that symbolism and metaphor provide ways for humans to experience God in new and powerful ways. Shaw offers a rich and thought-provoking exploration of art, creativity, and faith. Believing that art emanates from God, she shows how imagination and spirituality "work in tandem, each feeding on and nourishing the other." Faith informs art and art enhances faith. They both, for each other, are "breath for the bones." 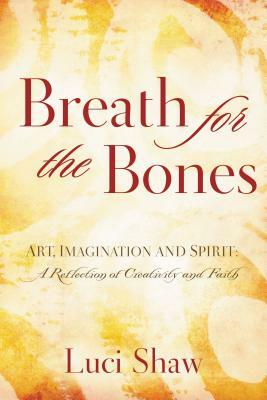 Provocative, enlightening, and above all, inspiring, Breath for the Bones will help readers discover the artist within, and bring them further along the path to God Himself.